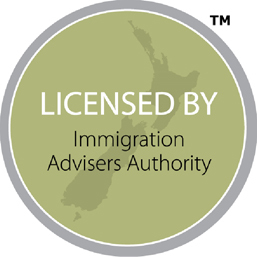 Do you qualify for a business visa in New Zealand? You may be interested to know that New Zealand’s business migration categories are designed to contribute to economic growth, attracting ‘smart’ capital and business expertise to New Zealand, and enabling experienced business people to buy or establish businesses in New Zealand. If you wish to run your own business in New Zealand then the Entrepreneur Work Visa may be for you. Should you be granted an Entrepreneur Work Visa, which is a temporary visa valid for 4 years then you will be able to apply for an Entrepreneur Residence Visa once you have run your business for 2 years or even 6 months if you meet extra conditions. 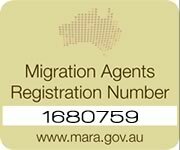 If you are a key employee in a business that is relocating to New Zealand, you may be eligible to apply for a residence visa under the Employees of Relocating Business Category. This category facilitates the granting of residence to employees of businesses relocating to New Zealand, should they not qualify for residence under any other existing category. If you are an experienced business person and you want to be self-employed in your own business in New Zealand, then the Entrepreneur Work Visa Category may very well be your best option. This visa will enable you to move to New Zealand and buy or establish your own business. This visa offers a direct path to applying for residence in New Zealand under the Entrepreneur Residence Category. The Entrepreneur Work Visa is a three year work visa with two distinct stages i.e. a Start-up stage and a Balance stage. Once your Entrepreneur Work Visa is approved, you will initially be issued a 12-month work visa, enabling you to buy or establish your own business in New Zealand. This covers the remaining 24 months of your visa. You can be granted the balance of your Entrepreneur Work Visa as soon as you have taken steps to establish your business. Transferring your investment capital through the banking system to New Zealand. documents showing setting up the business (e.g. certificate of incorporation). property purchase or lease documents for the business’ site. invoices for business equipment and supplies. other documents such as employment agreements, bank statements, utility company invoices. documents evidencing the constitution of the business (e.g. certificate of incorporation). property purchase or lease documents relating to the business’ site. make a minimum capital investment of NZ$100,000, unless this requirement is waived. meet or exceed 120 points on a scale which awards points for factors relating to the likely success of the proposed business and its value to New Zealand. not have been involved in business fraud or financial impropriety. meet health and character requirements for residence and English language requirements.